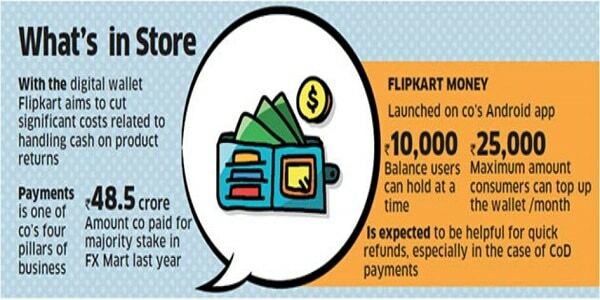 India’s largest e-commerce company, Flipkart launched its own digital wallet by the name ‘Flipkart Money’. Taking a leap towards digital payment business, Flipkart has unveiled its own wallet. 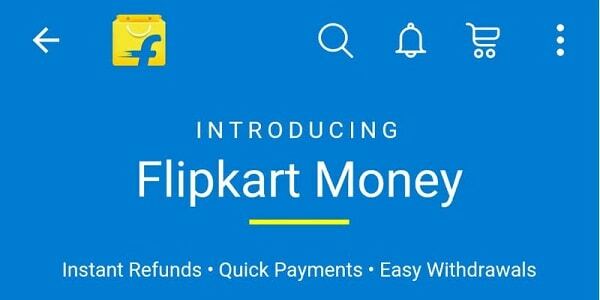 Flipkart Money has been launched on the company’s Android app, where users can hold a balance of INR 10,000 at a time. It is expected to expand to other platforms in few weeks. Consumers can top up the wallet with a maximum of INR 25,000 a month using their credit cards, debit cards or via net banking. Cash can be withdrawn from the wallet to the cards or the bank account. Money is part of Flipkart Wallet, which includes WS Retail Credit (the biggest seller on Flipkart), gift cards and other bank cards saved on the online retailer’s platform. Users whose accounts are OTP verified will only have to agree to the terms and conditions of the wallet. The terms and conditions for the wallet note that KYC documents may be required for activation, and continued usage of the wallet. If incorrect details are provided, the company has the right to cancel the user’s wallet. This could mean huge numbers for Flipkart, as the company has said that it aims to sells goods worth $12 billion in the year ending March 31, a three-fold increase compared with the prior fiscal year. It is also a great opportunity for Flipkart to tap this growing market and compete with rivals like PayTM and MobiKwik. Digital wallets industry in India, still in its initial stages, has been able to gather millions of customers under its umbrella. With 135 million wallet users, PayU Money, Paytm, MobiKwik, Oxigen and My Mobile Payments have captured around 70% of the market revenue, in no particular order.